Mix all together for your flour blend. Put the flax meal and water in a large measuring cup b/c you’ll be adding more water to it, but first let it sit for about 10 minutes. Mix the dry ingredients together. Add enough warm water to the flax mixture to get to 3 3/4 Cups liquid. I use a glass 2 cup measuring vessel in which the flax and water set for 10 minutes, then add water up to the 2 C line which I pour into the bowl with the dry ingredients, then add another 1 3/4 C of water to the mixture. If you have a 4 C measuring cup then it is even easier. Blend all together and let it rise for about 2 hours. I do this in the oven~ warm the oven up for a minute on high, then turn it off and let the dough rise with a damp towel over it. Once it has risen, it can be stored in the fridge for a week or two. This is enough dough for 3 loaves of the peasant bread baked in the pyrex glass bowls though you could also use this basic dough in another recipe if you wanted. First oil or butter a pyrex bowl, or spray with a non-stick spray like Trader Joe’s coconut oil spray. However you choose to do this, make sure it is good and thick because the dough is sticky and I’ve ruined many loaves’ crusts by not making a good enough non-stick barrier. In other words, grease it well, then grease it again. I actually find the cooking spray works best. Take about 1/3 of the dough and plop it in the glass bowl to rise another hour or so. I do this in the oven again, which means I have to take it out of the oven when it is time to preheat. Preheat oven to 425 degrees F. Stick a shallow pan of water on the bottom of the oven for steam. Bake the bread for 10 minutes before turning the heat down to 375 degrees F for about 22-25 minutes. Take the bread out of the bowl and if you like a crustier loaf as I do, put the bread sans bowl back in the over for another 5 minutes. Let it cool before cutting. 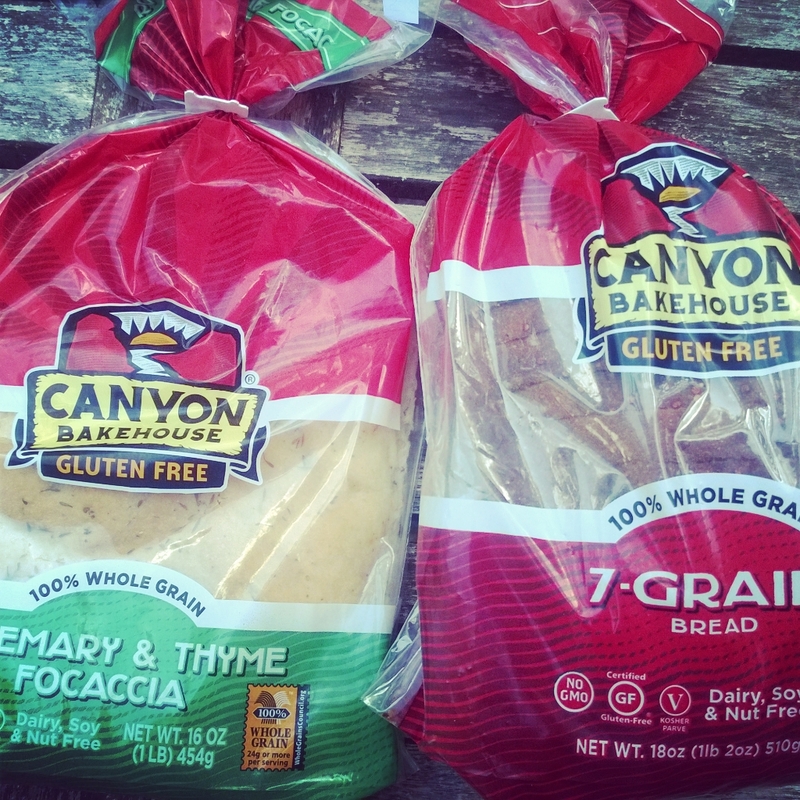 We recently had the opportunity to try the entire line of Canyon Bakehouse goodies and we now have some new favorites in this house. The seven grain bread is the closest thing we have had to whole wheat bread. The texture and taste are surprisingly familiar to the whole grain breads I grew up on and altogether different from any other gluten-free bread I’ve had in these past 10 years of being completely gluten-free. The other new family favorite is the focaccia. Both my sons loved the taste fresh out of the bag or warmed up in the oven under the broiler. 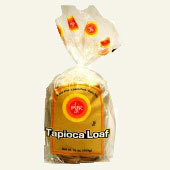 This is a perfect bread to add to the side of soup or salad although really my sons will eat it along anything. 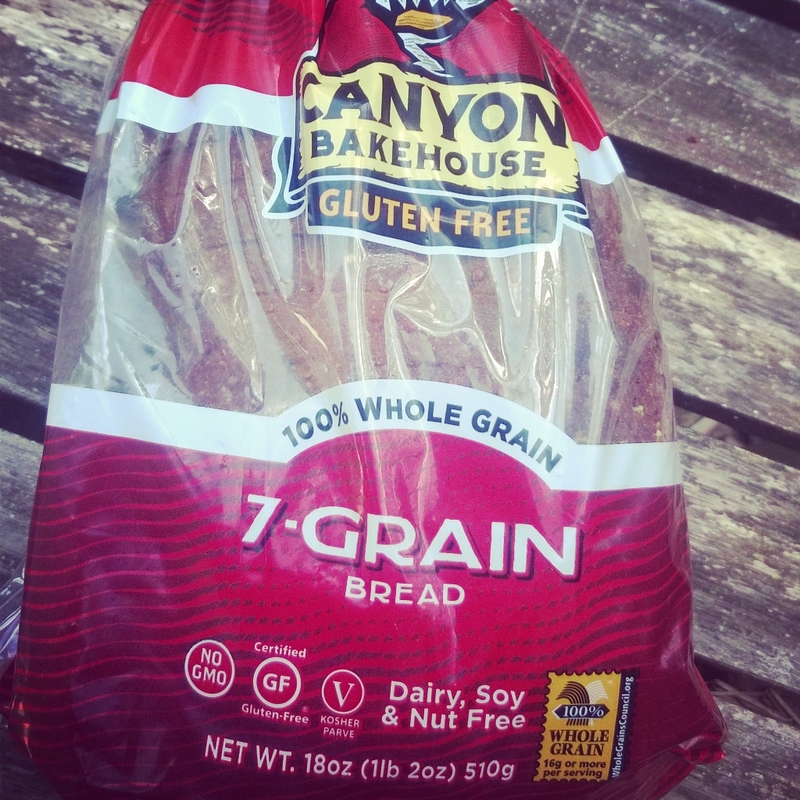 This bread is also a unique offering in the gluten-free field and I appreciate the fact Canyon Bakehouse also makes these breads dairy, soy, nut and gmo free. Life is short~ be kind, be wise, and try some new bread. Who doesn’t love a good sandwich? 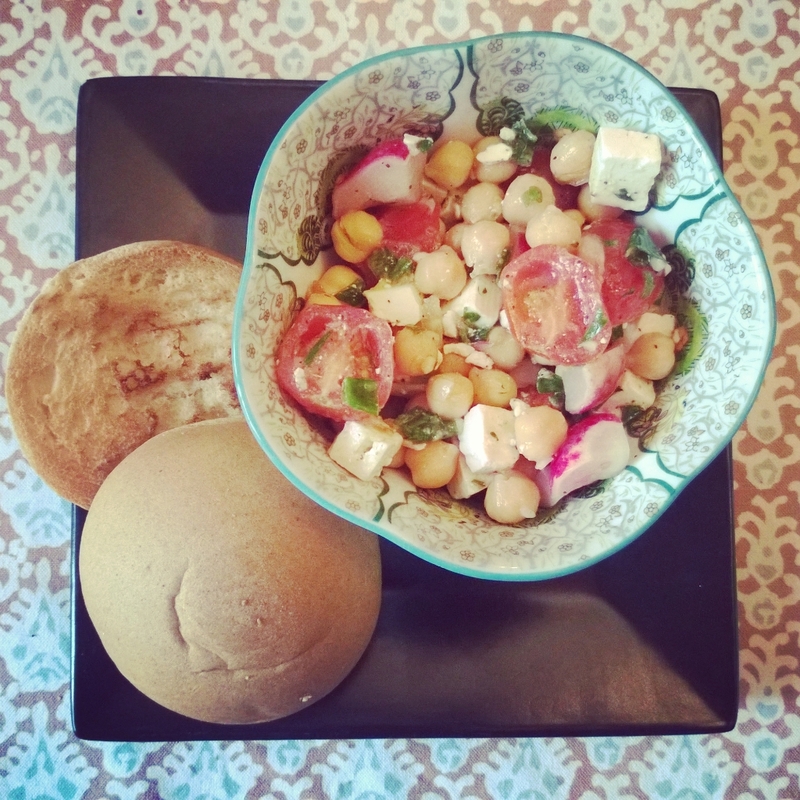 Even when I eat salad or soup, I always have a hearty carb to accompany it, which might take the form of rice with soup or corn tortillas to wrap up my salad, but lately most of my lunches involve Schar Classic White Rolls. These taste delicious with a sourdough flavor and a real classic bready texture that leaves no issues with unseen holes that gluten-free loaves are apt to hide. They are free of dairy and eggs too and make excellent hamburger buns although usually I just use them for regular old sandwiches. They are too big for my toaster even though I have one of those bagel toasters so I always just put them under the broiler for a few minutes each side before adding the extras, unless I’m using cheese and then that goes under the boiler too, just for the last-minute or so. My favorite sandwich does involve cheese, mozzarella to be specific, plus tomato and basil with extra greens and a little olive oil and vinegar for a caprese-inspired sandwich. Yum! Can’t you just taste it? So good! If you are tired of your gluten-free loaves surprising you with little holes in your slices of bread, try these rolls instead. They are guaranteed to make your lunch a fulfilling one! 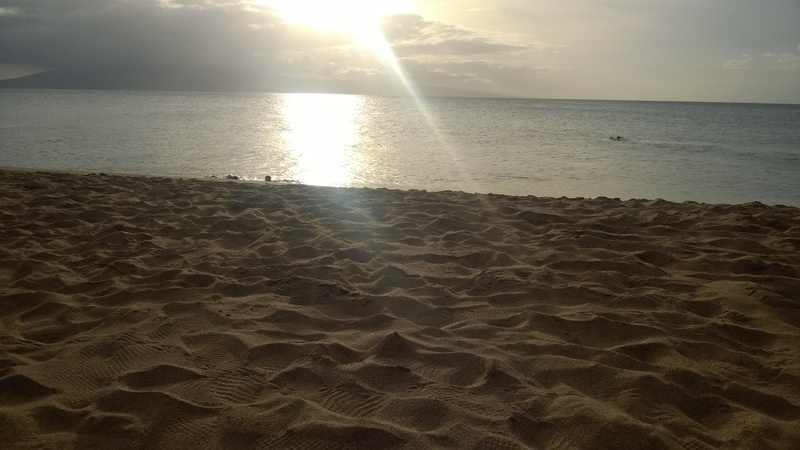 We just took a trip to Maui, my sons and my first to Hawaii, and I was of course nervous about what we were all going to eat. The good news is that it wasn’t actually that difficult, but the bad news, I have to say, was it was food-boring. On the first night we got in late and ordered room service because it actually pointed out their gluten-free foods on the menu (Westin Ocean Villas at Ka’anapali). Their gluten-free buns were dark and awesome, though I was much more enthusiastic than my boys who prefer whiter breads. They must use teff or some other flour that isn’t in heavy rotation in the gluten-free bread circles because they were darker than I’d ever seen any gluten-free baked good, and hearty like a dark whole wheat. The next day we went to a typical grocery store and bought gluten-free pasta, corn tortillas, refried beans and a few other things plus fruit and veggies. We ended up eating those things just about every single meal of every single day of the week, hence the food-boredom. We went out to two other meals, one, a Mexican restaurant so more tortillas and beans, and then another to an open-air sports pub kind of place where the boys and I got…tacos. Thank goodness for corn tortillas but it will be a long time before I care to make anything with them again. My youngest son found a bread he adores though, so he actually ate toast, plain toast nothing on it, for part of many meals. Ener.g tapioca bread was a big hit with him and about as white as you can possibly make any bread. 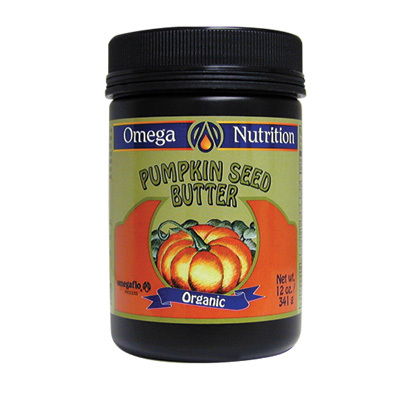 I had brought with me pumpkin seed butter by Omega Nutrition and my other son spread that on all his toast and Udi’s bagels which I had brought with us. That pumpkin seed butter is really good~ it tastes closer to peanut butter than sunflower seed butter does, and less salty. If you have a nut-free child, or are nut-free yourself, I definitely recommend trying it if you haven’t already. I suppose people don’t go to Maui in November for the food, but it made it a little easier to go from 80+ degree weather to 30 degree weather when we were so bored with our meal times. It is nice to be home with our warm kitchen, even if the weather outside is back to the typical Fall drizzle and there are no oceans nearby. 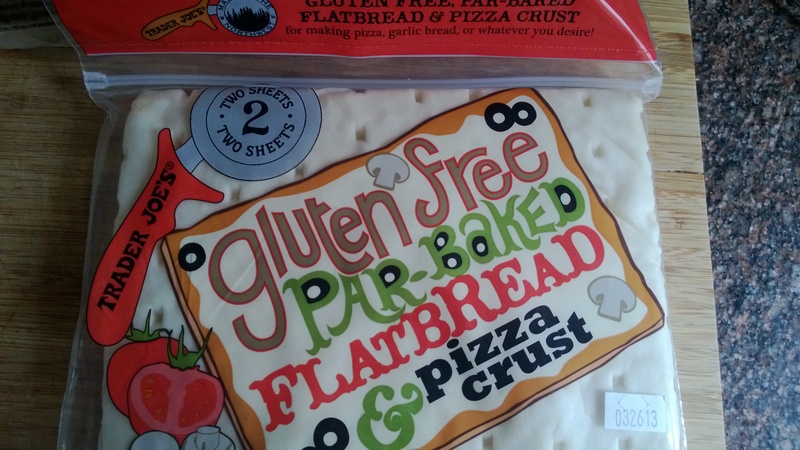 It was good to see that so many gluten-free things could be found in a regular grocery store though~ I suppose traveling anywhere in the U.S. would be fairly easy at this point, as long as you had your own toaster and stove-top to use. When I looked for recipes online for vegan cream of broccoli soup I found a lot of recipes with cashews. My oldest and I do not do nuts very well, or at least our stomachs don’t, so those recipes obviously wouldn’t do. 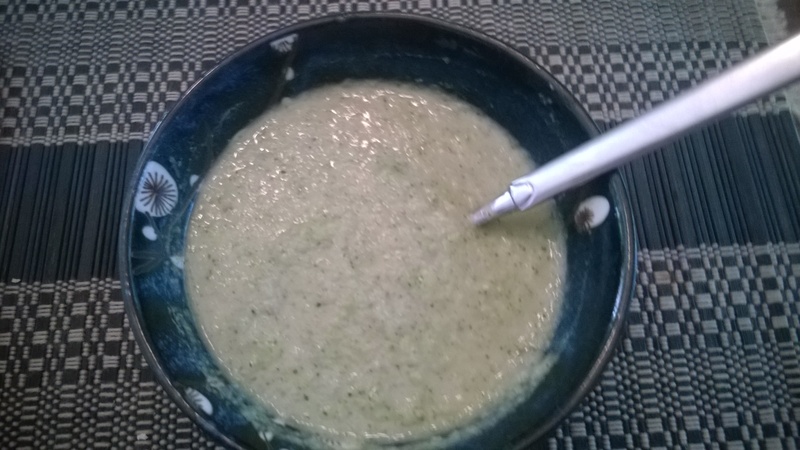 I looked at regular cream of broccoli soup recipes but was reluctant to try a complicated recipe with so many substitutions required, so I was pleased when I finally found a recipe that used white beans for the ‘cream’ part. I tweaked the recipe a bit because it was a simple recipe and easy to add to it, but the bulk of it comes from Tasty Yummies, so thank you TY! 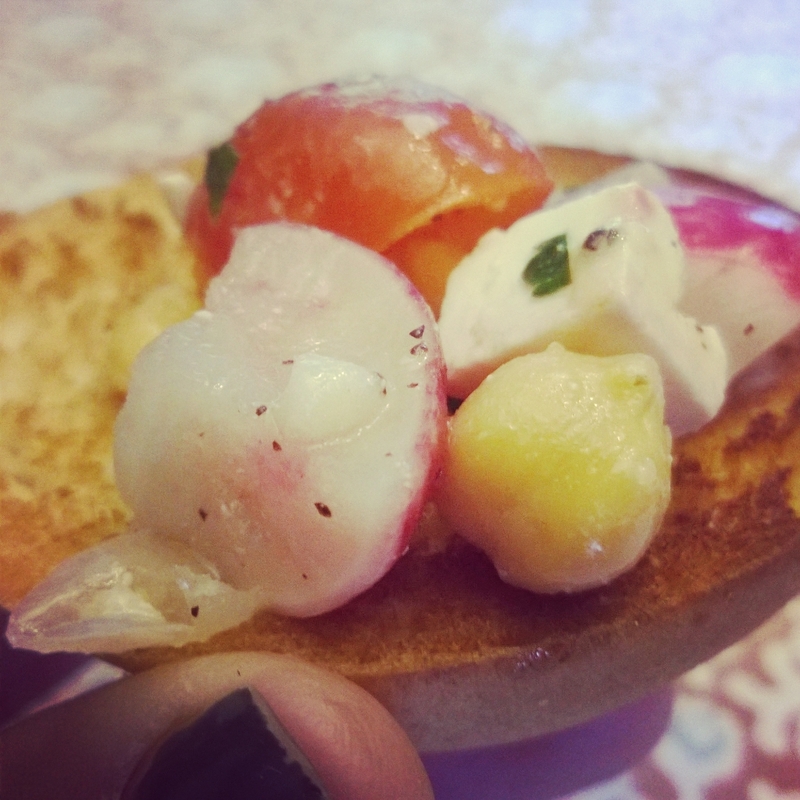 or a gluten-free baguette if we happen to have one, (if we do it is Olivia’s Super Free or Wildflour brand). Whether I use the flatbreads or baguettes, I preheat the oven to 425, spread about 1/2 t olive oil on a piece of bread, add crushed garlic and Tuscan Sea Salt which has Italian herbs added into it, then bake for 10 minutes, or less if the baguettes are room temperature. Truth be told, I make breadsticks so often I actually just have all the ingredients in a jar of olive oil so I can just scoop it out and rub it on the bread, no garlic crushing or salt sprinkling required. Anything to get dinner on the table faster, right?! First steam the chopped broccoli for about 3 minutes, until nice and bright green. Sauté the onion, garlic, and leek in a soup pot until translucent, sprinkle with the Herbs d’Provence, then add in the beans and broth. Bring to a simmer, then remove from the heat and add in the broccoli. Once cooled a bit, puree in a blender until smooth~ it doesn’t take long. Add salt and pepper to taste, then scoop out with a bread stick and eat your fill guilt-free since this is one ‘creamy’ soup that is low in fat and high in fiber as well as highly nutritious. For a blended soup, this was exceptionally quick and easy. Definitely will go into my week night meal rotation. This bread surprised us for two reasons. The first being that the second ingredient listed is sour dough, made with rice flour and water. When I bought the bread I had only looked at the area that says “contains: soy” to see if it contained dairy and or eggs, so I happily bought it when I saw that it didn’t. I had no idea I was buying a sourdough bread! 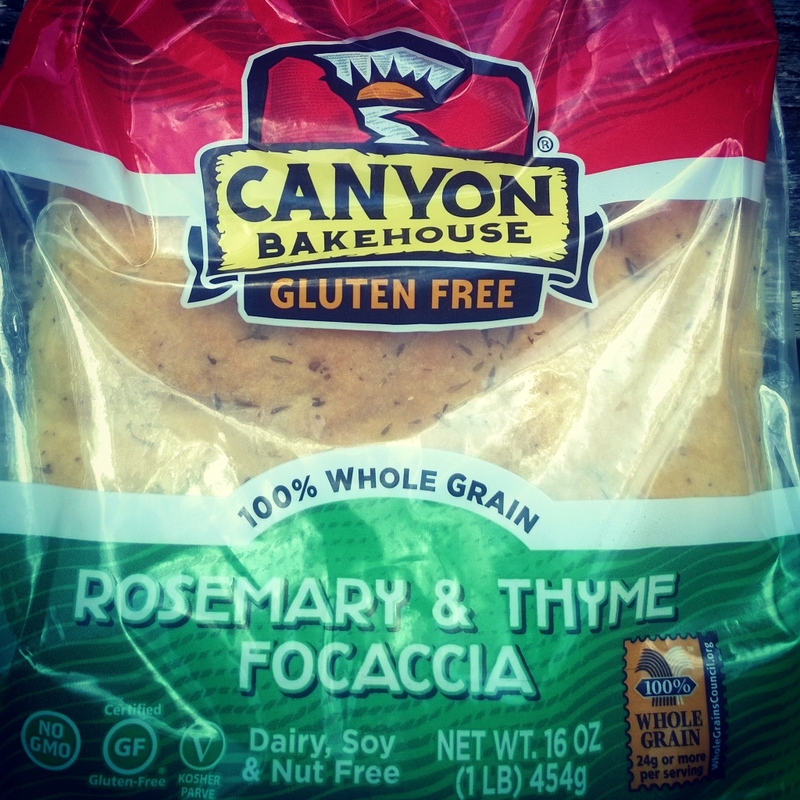 But as soon as I tasted it I could taste the sour dough and was so excited~ a dairy free, egg free gluten-free, sourdough sandwich bread is something we haven’t had since….well, ever, actually. We are eating a lot of sandwiches these days. The second reason this loaf surprised me was because it isn’t in the normal spot where I shop for bread at the Whole Foods I frequent. I imagine this is one of those things probably debated among store employees, vendors, brokers, and merchandisers. At the Whole Foods I go to there is a dedicated gluten-free aisle, but there are also gluten-free items throughout the store. Normally when I buy bread, I go to where all the bread is and pick up a loaf or a bag of bagels or rolls. 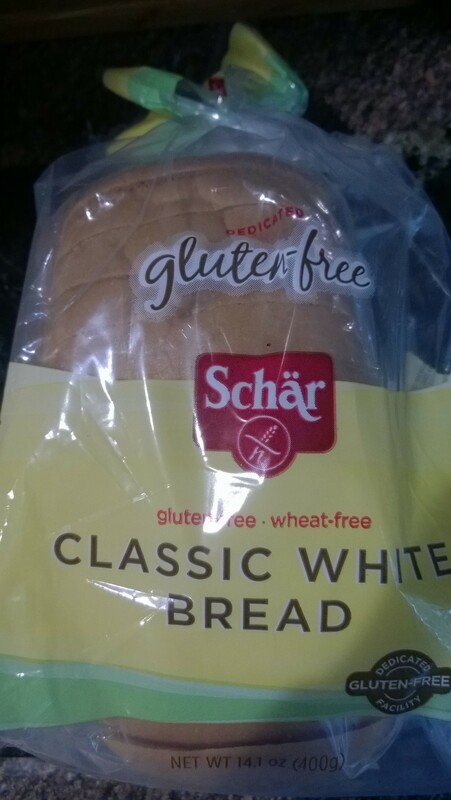 Schar bread is not there. It is only in the aisle dedicated to gluten-free items and by the time I hit that aisle my cart is usually already filled with bread products I got from the bread area. Hm. I know it is difficult to set up a store, I’ve worked in several myself, so I’m curious what people think…Do you like your store to have the gluten-free items mixed in with the other food, or do like it all in one specified space? Or mixed, with a dedicated gluten-free area but with other gluten-free items mixed with the other food in all the other aisles?